We are a top notch supplier of Fujifilm Digital Camera. Banking on our enriched industry experience, we are able to supply Fujifilm Digital Camera. In order to meet excellent quality standards, we are supplying Fujifilm Digital Camera. Power Supply: CR2/DL CR2 lithium batteries x2,Capacity 30 film packs* * Based on our test conditions. 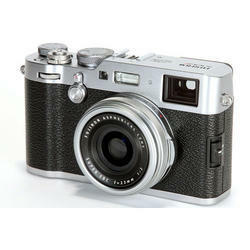 We are engaged in offering Fujifilm Digital Camera. We are amongst the most reputed names in the industry, offering Fujifilm Digital Cameras.